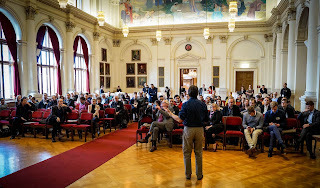 The eMOOCs2016 conference in Graz, Austria just finished. Looking at the research and MOOC experiences that were shared, it is clear that MOOCs are beginning to be understood more in-depth. The organizers turned everything into a wonderful experience (feedback from some colleagues, I could not make it this year due to a number of unfortunate reasons). Special issue focus Open Education is currently at the crossroads of becoming either an integral part of the higher education landscape or a sellout for venture-capital driven companies who use openness as a means to increase their customer base. At the same time research on open education is developing into two different directions, namely open educational resources (OER) and open educational practices (OEP). For both directions, an underlying vision is formulated to increase accessibility to (higher) education on a global scale. While OER research has focused for a long time on production and publication of learning resources under open licenses, little attention has been given to actual research about adaptation and embedding of OER in new contexts including psycho-social factors influencing OER reuse. For MOOCs and open courses, the most prominent research challenges are related to scalability of feedback and support, educational design of open courses, and also on the integration of new technologies into open learning environments. These challenges also lead to many unresolved questions about interfaces between formal and informal learning, certification and recognition, and also the wider societal responsibilities for higher education. This special issue titled “Advancing Research on Open Education” will focus on empirical research dealing with the advancement of the field of open education for postsecondary and adult learners. A couple of months ago, I had the pleasure of receiving a manuscript for review. Although the review was limited to the first chapters, I got all excited by what Jeremy Knox had written. The book looks at MOOC and puts the within a posthumanist framework to analyse its meaning and impact. Jeremy refers to different MOOC along the way, proving his main philosophical ideas. The full title of the book is Posthumanism and the Massive Open Online Course: contaminating the subject of global education, and is written by Jeremy Knox. You can have a look at the introduction, as well as the chapters here. The book is about 220 pages and provides stimulating reading for anyone passionate about education and philosophy. The paperback costs about 32 GBP. From the intro: "This book is about the rise to prominence of the MOOC: its high-profile marketing and emerging approaches to research; its spatial ordering of university provision and online education; and the unprecedented number and spread of its students. However, this book is also about the human condition: a human condition that is profoundly and intimately entwined with the ideas and practices of education, of which the MOOC is merely one. This book draws on a well-established critique of humanism from philosophy and critical theory: critical posthumanism. It is this theoretical sensitivity that will allow the ensuing analysis to look beyond the limitations of the humanist subject in the discourses and material practices of the MOOC, and work towards new understandings of this far-reaching and technology-infused form of education. This book uses critical posthumanism as an umbrella term for a number of specific theoretical areas, each of which will inform particular aspects of analysis in the succeeding chapters: new materialism; postcolonial intersections with posthumanism; spatial and mobilities theory; sociomaterial theory; and the idea of the ‘monstrous’ as a critical examination of the humanist ideal". Chahira Nouirra, aka CosmoCat, asked me to share some reflections on my own Community of Practitioners (CoP) experiences, specifically in relation to my own lifelong learning, so these ideas could be added to the EU Discuss platform. I took her up on that, as I recently had a new (new to me) insight on this. The video is shared below. Warning, it is a really low-tech video, as I am in a bit of a state (strained my back, which resulted in having to take medication to dim the pain, so my brain is a bit numb, but ... I had to jump to help out my friend Chahira - I hope the video is in some way helpful Chahira). in my previous job I needed to connect to other eLearning, social media and mobile learning experts around the world, simply because I was the first one with eLearning expertise in the organisation. This meant I needed to connect with more knowledgeable people, and build my own network of experts. 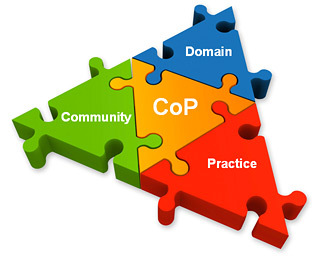 CoP provide new ideas, tools, processes, frameworks, evaluations...and of course meaningful discussions. Shifts in professional areas, means shifts in CoP. You keep those with most impact (not necessarily consciously), and most affinity, and add to those the experts with new knowledge. As my own expertise changes, so does the body of knowledge and expertise that is out there (just look at the boom of mobile apps, where I used to be on top of it somewhat being part of those building the first iphone Moodle app, only 6 years ago). The same with exploring mobile options in MOOCs, while by now all major platforms are mobile oriented. What do I feel as the most relevant effect a CoP for lifelong learning should offer? Knowledge, just like softwares, should be accepted as being in perpetual beta, it changes all the time, in the opportunities that are created, as well as priorities it shapes. New, relevant knowledge that I feel I am missing at this point. Answers to new challenges (e.g. I would have the mobile and eLearning expertise, but looking for new MOOC expertise, by now looking for new tech expertise fitting in with MOOC, social learning, mobile learning knowledge). Dialogues that result in mutual strengthening (inevitably varies based on prior knowledge and new insights). But to me the philosophical stance on openness, sharing, and what education/learning should look like also makes me choose who I connect with most frequently, and how I value the input from those people/experts. Organically reshaping my network is important to keep it fresh and useful. Connecting to people I like, keeps me in touch and willing to return to my CoP. The old, the new...Sometimes I reach for those who I feel closely related to, sometimes I reconnect to those I lost contact with to get refreshed on their current professional/personal interest, and sometimes I reach out to new people based on their interests or the 'feeling' they send out. Some of my lessons learned: always realize that there are new topics and experiences to learn from, and add to my existing expertise/knowledge. I am at best a part of the sum, as such my additions to that body of knowledge should be as authentic as possible, to make my life's experience rich and true. Always connect to people that are authentic, and that I feel I like. I am first and far-most a human being, as such I need to feel a connection with the people I connect to in order to learn. Just received word that there are still open places for the 6 Leverhulme Trust Doctoral Scholarships (£14057 per year) focusing on research related to Open World Learning. These are additional PhD scholarships to the one's I posted last week. Learning in the 21st century is undergoing subtle and radical transformation as a result of the impact of digital, networked technologies. Open learning gives unprecedented access to information and education and provides support to learners across the globe. However, it is not the technologies themselves that represent the biggest change, but the opportunities for openness that flow from their thoughtful application, in the form of availability of and access to formal and informal learning. Without research, these changes in learning may exclude the very people who most stand to benefit from them. at The Open University, UK. You will need to reside in the UK, but you can have your research location/context situated anywhere in the world (regarding it is part of your research study). 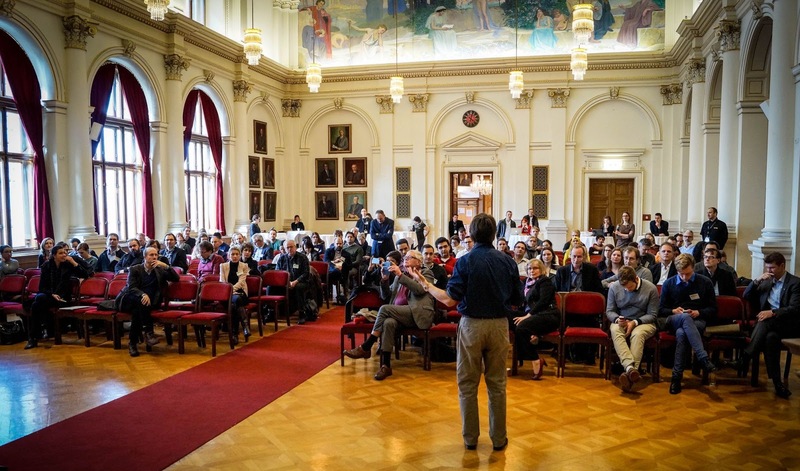 If you have a PhD research idea on Open World Learning, and you want to quickly discuss your ideas to see whether they fit in with the Open World Learning concept, feel free to drop a line to Bart Rienties (bart.rienties@open.ac.uk). For detailed information and how to apply for the studentships in general go to www3.open.ac.uk/employment, or call Anne Foward, on 01908 655364 or e-mail CREET-student-enquiries@open.ac.uk. In 2016, the Open University is offering 6 three-year, full-time Doctoral Scholarships in Open World Learning fully funded by the Leverhulme Trust. Candidates should have, or expect to gain, a 2.1 or above in an undergraduate degree or a Masters degree in education, language studies, psychology, computer science or another appropriate discipline. Funding is available for UK, EU and International students. Full funding for the Leverhulme Trust Doctoral Scholarships includes fees and a living allowance for three years, depending on satisfactory progress. The living allowance is currently £14057 in 2015/16. Deadline for application is 9 March 2016, with potential interviews starting April/May 2016. A quick overview of how to apply can be found here (= filling in the application form (is found in the link), and write a 600 - 1000 word proposal; I put my proposal here as an example). What I did (but not sure whether this approach made a difference), was to start from my research idea, and then see whether people with a OU background had done research in the same area. Then I put that research also into my proposal (not only, just a bit to indicate that I did know OU research). I also contacted a person I knew who worked at the OU, to get a better understanding of what a PhD is like at that institute. Then I referred to that person in my application, just by name to indicate that I was truly actively getting information. Do it, I did it and it is really worthwhile (strengthening knowledge, great research environment, multiple TEL-laboratories available). Sending a proposal does not take too much time, and it is really worth the effort as this is a worldclass institute for those investigating online learning in all its aspects. To apply, write a short research proposal and explain how your proposal fits the overall theme of Open World Learning and how you intend to conduct research on the topic. In generating your proposal please refer to the additional information for each topic available athttp://www.open.ac.uk/creet/main/postgraduate/phd-studentships. Please indicate explicitly in your application that you are applying for Leverhulme Doctoral Scholarships in Open World Learning. The Open University is one of the UK's leading Research Institutions. In the 2014 REF 72% of its research was rated as "world leading" or "internationally excellent". The Open University is ranked 2nd in the UK for its Education research based on quality and breadth (Times Higher research power). The Centre for Research in Education and Educational Technology (CREET), at the Open University has an international reputation for the quality of its research. Providing postgraduate students with a supportive environment and excellent facilities ensures a future supply of first class researchers. CREET offers you a unique opportunity to study for a PhD in areas such as Technology Enhanced Learning, Learning Analytics, Open Educational Research, International Education and Development and Language and Literacy Studies, guided by world experts. A vibrant international community of students is currently studying our MRes and PhD programmes. The Open University provides excellent support for students and offers a full range of training in computer, library and presentation skills. The studentships are full time at the Milton Keynes campus and students are normally expected to live within commuting distance of Milton Keynes. If you feel that the challenge of research in these exciting and interesting areas is for you and you have the drive and intellectual curiosity to pursue postgraduate research, then we look forward to hearing from you! Further information, including more details of CREET research, can be found athttp://www.open.ac.uk/creet/main/. Yesterday I sent out a call for full scholarship degrees that were open to proposals at the Open University of the UK. As I started to communicate with friends and colleagues wondering whether they should apply for a scholarship (Of Course! ), I realized I might add a bit of background based on my own PhD experience. Please find a brief overview of my PhD experience and ideas (plus tools and steps) below. If you have additional experiences that I did not cover, let me know. I think this could be useful for other PhD-potentials. The Centre for Research in Education and Educational Technology (CREET) Technology Enhanced Learning Priority Research Area have just released a call for Open Technology Enhanced Learning (OpenTEL) PhD scholarships. Deadline for application is 31 March 2016. A quick overview of how to apply can be found here (= filling in the application form (is found in the link), and write a 600 - 1000 word proposal; I put my proposal here as an example). What I did (but not sure whether this approach made a difference), was to start from my research idea, and then see whether people with a OU background had done research in the same area. Then I put that research also into my proposal (not only, just a bit to indicate that I did know OU research). I also contacted a person I knew who worked at the OU, to get a better understanding of what a PhD is like at that institute. Then I referred to that person in my application, just by name to indicate that I was truly actively getting information. Do it, I did it and it is really worthwhile (strengthening knowledge, great research environment, multiple TEL-laboratories available). Sending a proposal does not take too much time, and it is really worth the effort as this is a worldclass institute for those investigating online learning in all its aspects (mobile learning, MOOC, learning analytics...). The Centre for Research in Education andEducational Technology at the Open University has an international reputation for the quality of its research. 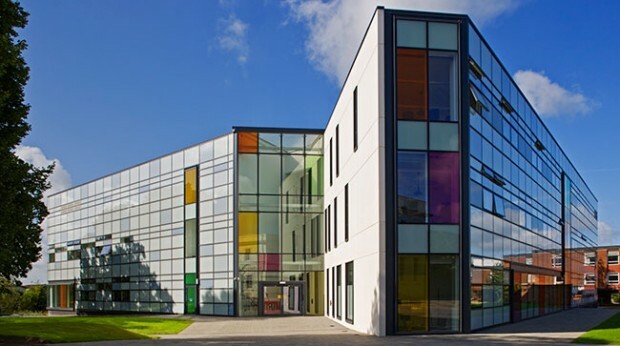 At the Open University research students are provided with a supportive environment and excellent research facilities to ensure a future supply of first class researchers. We are recruiting PhD students in Technology Enhanced Learning (TEL) who study under guidance from world-class experts in the field. Open Technology Enhanced Learning (OpenTEL) brings together CREET researchers in the Institute of Educational Technology and Faculty of Education and Language Studies with those from Faculty of Business and Law, Faculty of Mathematics, Computing and Technology, the Knowledge Media Institute, Faculty of Science, and the Faculty of Social Sciences. We encourage interdisciplinary research. If you feel that the challenge of research in this exciting and interesting area is for you and you have the drive and intellectual curiosity to pursue postgraduate research, then we look forward to hearing from you! We are offering up to 4 fully funded full-time studentships for a 1+3 programme (MRes and PhD) or +3 programme (3-year PhD) - the latter is what I am doing, and almost finishing. You will have, or expect, a 2:1 or above in an undergraduate degree or a Master’s degree in education (or equivalent), psychology, computer science or another appropriate discipline. For direct entry to PhD you will need to have completed postgraduate study that includes appropriate research methods. The Open University is one of the UK’s leading research Institutions. In the 2014 REF 72% of its research was rated as “world leading” or “internationally excellent”, in Education we were ranked 2nd for research power, a measure that combines quality and scale. There is a vibrant international community of students studying our MRes and PhD programmes. 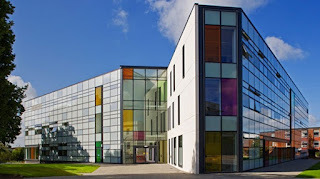 The Open University provides excellent support for students and offers a full range of training in computer, library and presentation skills. The studentships are full time at the Milton Keynes campus and students are normally expected to live within commuting distance of Milton Keynes. Funding is available for UK, EU and International students. Full funding for studentships will include fees and maintenance (£14057 in 2016/17) for either four years (1+3) or three years, depending on satisfactory progress. Further information, including more details of CREET research, can be found at http://www.open.ac.uk/creet/main/. IRRODL just published its latest special issue on research papers in online learning performance and behaviour. In this issue psychological, cognitive and emotional elements of online learning take up a good part of the articles. A great read as it offers holistic insights to interdisciplinary educational researchers. Two articles really got me thinking about the learning process (one research by Hsieh and Chen focusing more on tablet learning customization and personalization while looking at holistic/serialistic learners and one research by Cheng, Wang, Huang, Zarifis on online collaborative learning using ThinkLets that allow to measure learner satisfaction in a particular learning setting). In MOOC, online and mobile learning, there is a clear statement: long recorded lectures that exceed 15 min are ineffective (the timing put on 'too much' can vary depending the research, some go to 7 min). I often think about that golden rule when looking at lectures in MOOC and online learning in general. To me, there are lectures that can annoy even just a couple of seconds in, while others I watch time and time again even if they exceed 45 min. It seems to depend on the person speaking, the topic (being my interest, and how it stands to my previous knowledge, new knowledge is always welcomed in topics of interest), and my state of mind. As with all instructional designs and trainings, everything depends on context, target population and learning goal. In pedagogy their simply is no golden rule, but then again it could be that there are a selection of core factors. Any rule needs to be tested in different contexts (a fun action to try with any rule). Just imagine I would take this idea of lecturing and ineffectiveness and act upon it in real life. So, I go to a Bill Gates/Ariana Huffington/Elon Musk event, and after 15 minutes I stand up and walk away. Or similar, I go to a concert and after merely 15 minutes I just go. Clearly, in those 15 minutes my mind had enough information, more information from those people/artists would only be ineffective. The deed is done, the mind is full... I leave. Or not? If a lecture is really only effective in less then X min, then why do we watch movies, do we read books, do we walk in museums wandering from one work of art to the other for an hour/hours? If something is of interest, I will put in the time. Admittedly, I do need time to reflect on new information. So, when I see an interesting long lecture, I put it on pause several times to reflect on the new information. I do this for myself, by myself as I know when my mind needs a break. Sometimes I rewind it, to look again if I did not understand a particular part. I am a professional learner, I will indeed remember what is needed (or retrieve that information again, later when needed - the very effective Just-In-Time learning action). So when are lectures of interest? When the person speaking is a real expert. And the expertise can either be professional or personal. Simple experience in an area that is closely related to an interest, yet different from my own experience. 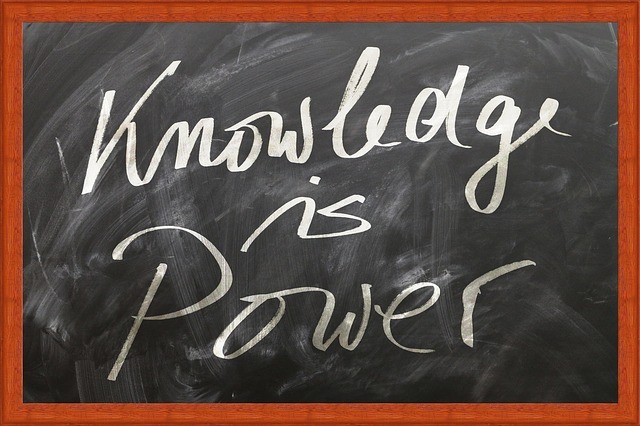 It is my experience (prior knowledge) which motivates me, the emotion the speaker gives me (interest? Feelings of YES or NO that drive me), and new information that will add to the wisdom I seek (which is a very personal factor, I admit). Do I need additional interaction to make this information sink in? Sometimes yes (if I want to implement the new knowledge in my own setting), sometimes no (if the new knowledge is of philosophical interest). In the latter case, reflection is enough. I just like to think about it, put it against earlier thoughts of my own, see what I think about it. I fear that although there is a basis for limiting the size of lectures online, there is room for lengthy lectures as well. Limiting everything to 15 minutes - to me - would be an online and real-time myth. As proof, I share this 50 minute "John Peel lecture" (Iggy's first lecture it turns out to be) of Iggy Pop on Free Music in a capitalist society. I say 45, as the lecture only begins at 8 minutes into the recording. Iggy Pop, a lecture? Oh YES! He talks about life, music, intention, money, and his own journey and at times you can see his soul being moved by what he knows and how he wants to share the deepest thoughts he has... this is wisdom in a 50 minute nutshell lecture. "If you are who you are... that is really hard to steal, and it can send you in all sorts of useful directions", so true, yet at times so difficult to stay true to oneself. Iggy does it. In this talk he also stresses the importance of education, referring to educating yourself in what you want to do. Educating yourself in the field of your passion. I like that idea a lot. Transcend the industry by having and holding on to your own identity (he points to the moment when the beatles and stones were suddenly picked up on television, turning musicians into images/identities promoted by the industry). He refers to the early days in radio, when people were wondering whether they should play the master tapes of musicians, as that would mean that music could be heard for free on the radio... so why would people then go buy that same music? Feels familiar, OER, youtube... Every system is subject to primitive hijacking (I like this phrase a lot!). And along the lecture promoting indy music labels, the fair digital deals declaration. He also wonders about thieving/streaming of art, the good things that come out of it, but also the bad things and how it affects the artists. It is important do do something, or let people feel something for the action it is (e.g. making music, painting...). Dream and be generous... Iggy eloquently portrays the clash and draw between cultural poles (capital, ethics, growth, identity). What a treat! My mind is still in awe. I will watch it again (and again), until I get it. Or simply making an analogy between his talk and how what he says connects to education.